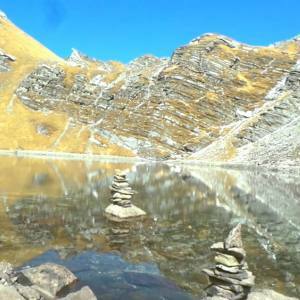 Quick Mardi Himal Budget Trek is an opportunity to explore the least explored route of Mardi Himal Base Camp in budget trip cost. The trek begins from Phedi after half an hour drive from Pokhara. It leads you through the peaceful trail that is dotted with the green woods of oak and rhododendron. 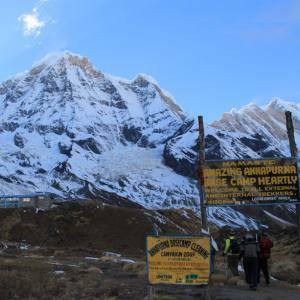 The budget itinerary to Mardi Himal Trek- 07 Days offers you the exciting scenery of the Annapurna panorama that leads you through the peaceful trail. 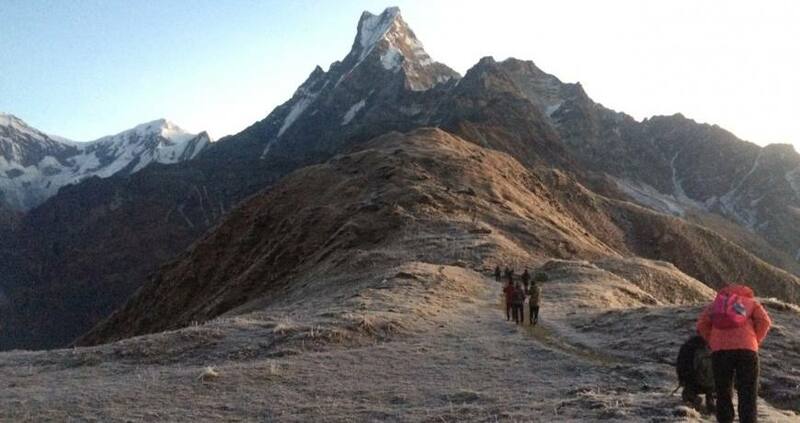 Passing through Deurali, Low Camp and High Camp, hike to the Mardi Himal view point. 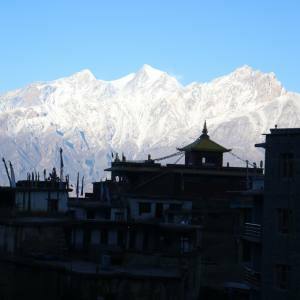 The astonishing view of Mardi Himal, Annapurna and the surrounding peaks can be explored along with the sunrise view. 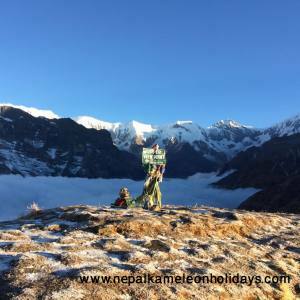 Nepal Kameleon Holidays offer Mardi Himal Trekking with professional guide, reasonable cost, required equipments and excellently organized itinerary. Please, feel free to contact us for more details about the trek. Day 01: Drive to Pokhara. Day 02: Drive to Phedi, trek to Deurali. Day 03: Deurali to Low Camp. Day 04: Low Camp to High Camp. Day 05: Hike to View Point (3.5 hour) and descend to Low Camp. 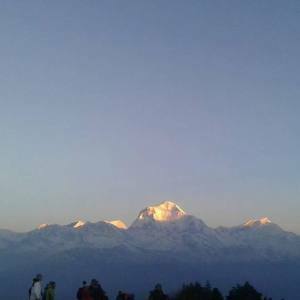 Day 06: Low camp to Sidhing, drive to Pokhara. Drive Kathmandu - Pokhara- Kathmandu by tourist bus. Full board meals (one iteam each time) and accommodations during trekking (B,L,D,A). 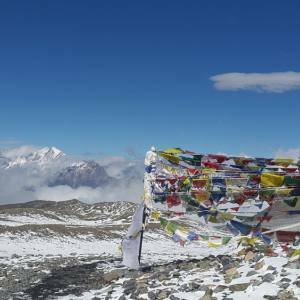 Professional trekking guide, their food and accommodation. Salary for the guide . If you want to extend the trek, please, let us know earlier. We also offer Chitwan National Park Jungle Safari Tour in reasonable cost. You can book it from us. Day 02Drive to Phedi, trek to Deurali. Day 03Deurali to Low Camp. Day 04Low Camp to High Camp. Day 05Hike to View Point (3.5 hour) and descend to Low Camp. Day 06Low camp to Sidhing, drive to Pokhara.